We’re really at the beginning of the smart home revolution. There’s still a long way to go before we really understand what it will mean. Will our homes become even more welcoming and inviting, or will they become sentient and rise up against us? Not everyone might think that’s a valid question. I do. That’s one of my favorite sayings because it applies to almost everything. Whenever you take on any project you should always look at where it’s going in the future, and what will happen when you need to move on to something else. I think this really applies with home improvements. For example, I love construction adhesive but you have to know that whatever you use it on is going to stick there for a long time. Removing it while keeping parts intact is nearly impossible. Will your light bulbs betray you? When it comes to smart home products, the biggest worry is actually security. One key feature of smart home products is their ability to connect to your home network and interface with your devices. When your smart light bulb breaks, though, it still probably has your Wi-Fi password stored in it, as well as other details about your network. Hackers could use this information to get into your network and steal a whole lot more. It’s even scarier when you think about the level of automation that we could see in the coming years. Someone who breaks into your network could potentially unlock your doors, disable your home security system, and turn on the lights, making it possible for a thief to simply walk in and take what he wants. Now, in order to do this someone would have to get hold of your electronic waste and trace it back to you. But, it’s also not too hard to figure out a location if you have a stored IP address, and if any of your smart home gear has your public IP address that’s all a thief would need. I think with so much happening on the internet you should probably think about changing the password to your home router every year or so. This is going to be a pain with all your devices, but it’s better than getting your information and identity stolen, that’s for sure. So, the key to making sure you safely dispose of smart home devices is keeping them until you change that Wi-Fi password. It might be tempting to smash them with a hammer or put them in a blender but you’re making those devices harder to recycle safely. You’re also potentially putting yourself at risk of toxic vapors. Best not to do that. Will Alexa steal all your personal information? So far we haven’t seen any cases where a smart home device actually mines your network for financial information. None of them have tried to snoop through your network data. However, it’s not impossible. I think it’s only a matter of time before you start to see stories about it though. Imagine malware being inserted in off-brand smart home gear. It’s certainly possible. We’ve already heard that companies like Huawei could have potentially bugged our cellular network. It might not be long before our homes become the next target. I don’t know how you’d protect against that. 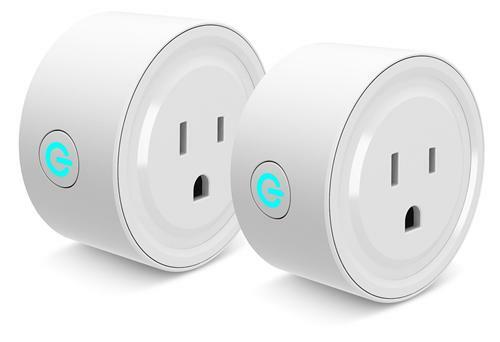 Today even top brand smart home products are made by no-name manufacturers and rebranded. Hopefully it’s just something that won’t happen for a while and when it does we’ll be ready for it. Meanwhile, I’m pleased to say that none of the smart home products at Solid Signal have shown any sign of becoming sentient or trying to take over the world.